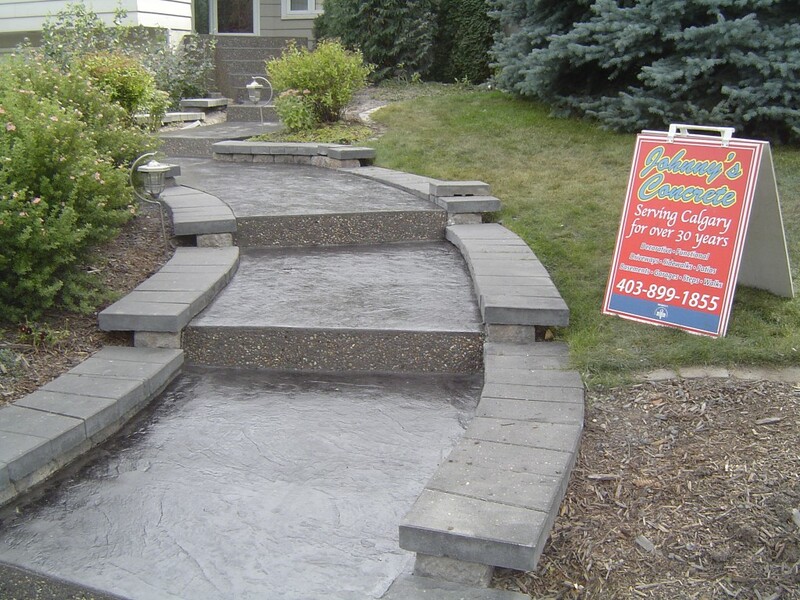 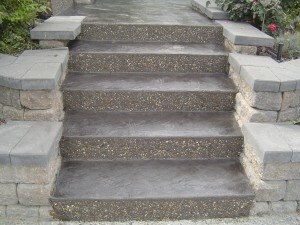 The elegant Canyon Slate ‘skin’ is combined here with our signature look on the steps. 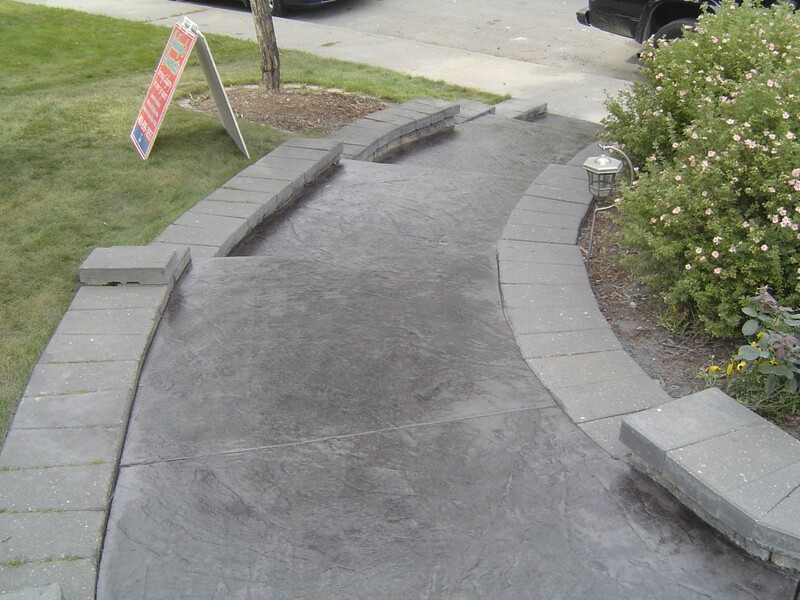 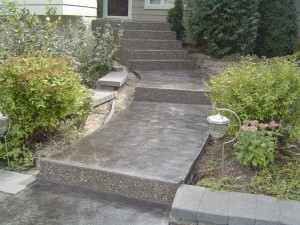 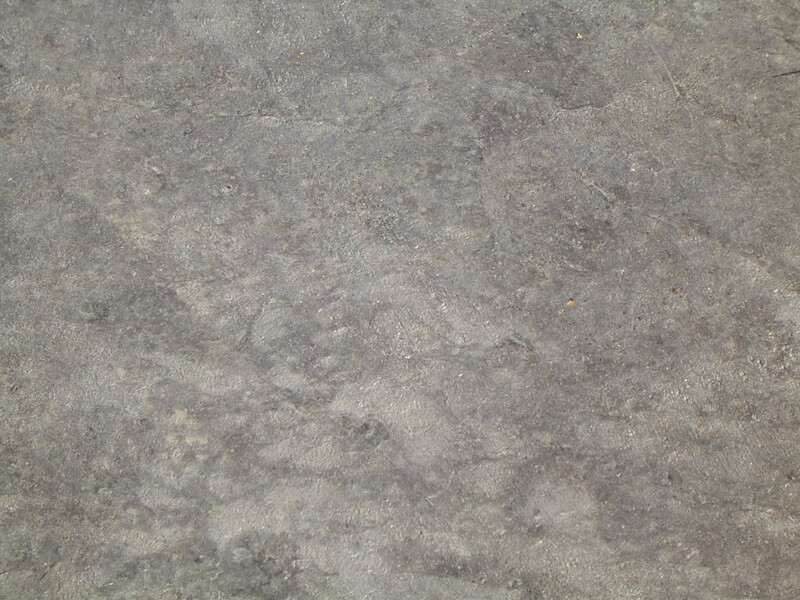 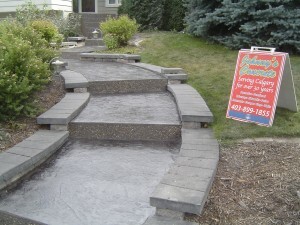 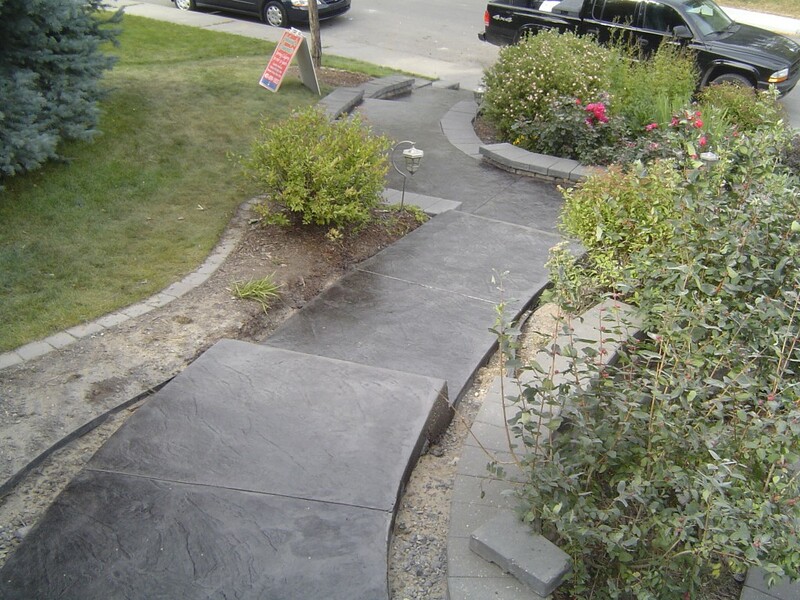 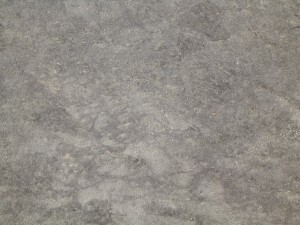 A stamp pattern for flatwork with exposed aggregate vertical facing. These examples features a charcoal color design.